Garlapati Tenali Ramakrishna popularly known as Tenali Rama and Vikata Kavi, was a court-poet of the Vijayanagara Empire in the 16th century, He one of the Ashtadiggajas who were patrons of Krishnadeva Raya and is also referred to as Tenali Raman in some parts of Southern India. He was known for wit and a large volume of poetry written in the Telugu language. 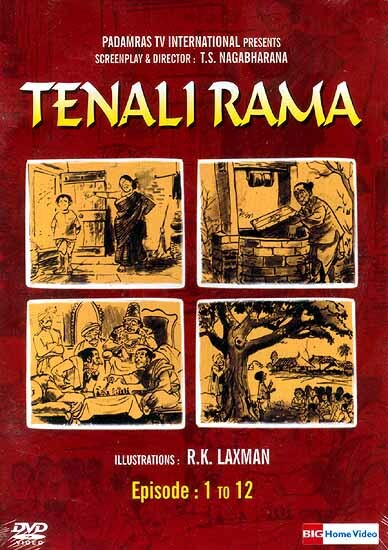 His story was made into a classic TV series on DD called "Tenali Rama". He is noted for brilliance and wit and for mocking other poets and great personalities.The stories of Tenali are very popular as Birbal stories, both the personalities known for their intelligence. The TV series of Tenali Rama still hold a clear picture of the audiences of 80s.